Long Live a Free and Sovereign Pozuelo! Published originally in Spanish. Luis Garicano. El Diario. This politician from the “Together for a Sovereign and Independent Pozuelo” [JPSI in Spanish, a pun on the name of a pro-independence Catalonian coalition -TN] would say “I commit to keeping this town free and safe with a zero rate income tax. No one will pay income taxes. Current VAT and local taxes will be enough to maintain an excellent service level”. The costs, the JPSI politician will argue, are nil. 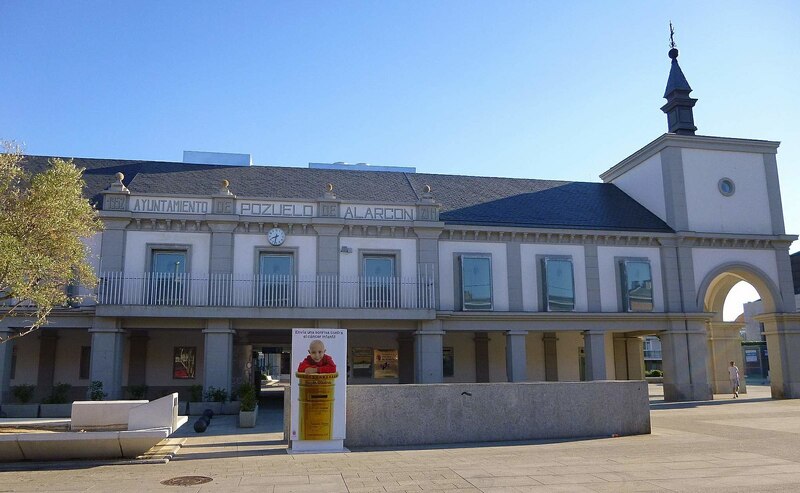 Freedom of movement within the EU means the neighbors from the new sovereign State of Pozuelo will keep commuting to Madrid or wherever they want. The single market guarantees also the free movement of goods to stock supermarkets. External security is guaranteed by the NATO umbrella. With a little bit of luck, if JPSI gives the story an anti-Spanish coat of varnish, the post-modern left will sign up for the nationalist Pozuelo grievance. Elsewhere in Spain, some people to whom “right to decide” sounds unarguable will mobilize in favor of the Pozuelo referendum. Even in Andalusia, Extremadura and Carabanchel, some will support this anti-establishment demand. They won’t realize (puzzling, huh?) that if those of us in Pozuelo pay less taxes, those in Extremadura and Carabanchel will get less services. The independence of Pozuelo may not pan out in the first referendum. But over time, my neighbors will start listening to the “Carabanchel steals from us” message and the virus will spread: more and mor people will say “I work very hard, why do I pay such high taxes so these lazy people in Carabanchel have health services they don’t pay for?” Slowly, the movement will find traction. They will be repeatedly told “one day, we people of Pozuelo will be free and sovereign”. What is astounding about this story, in our country, is the support for these selfish demands from the post-modern left. The position of a left that allegedly demands social justice in support of a movement that would completely eliminate the ability to redistribute, shows that, for some, anti-Spanish ideology trumps any concern about redistribution and solidarity. Of course, they will later want to raise taxes on those who remain. But who would remain? If Catalonia actually departed from the solidarity boat, why would Valencia remain? Why wouldn’t Madrid, if it had to sustain the whole remaining welfare state, demand a Basque quota? [Basque fiscal arrangement that all but guarantees net non-transfers to the rest of Spain -TN] Who would then redistribute to Asturias (that gets in pensions twice what it contributes), to Extremadura or to Carabanchel? The “right to decide” is the worst enemy of the welfare state. The sooner those on the left acknowledge it, face their contradictions and explain it to their voters, the better for all those of us citizens who want a honest public debate.